Print, color and cut out these versatile sentiments and keep them on hand for your projects as the need arises. 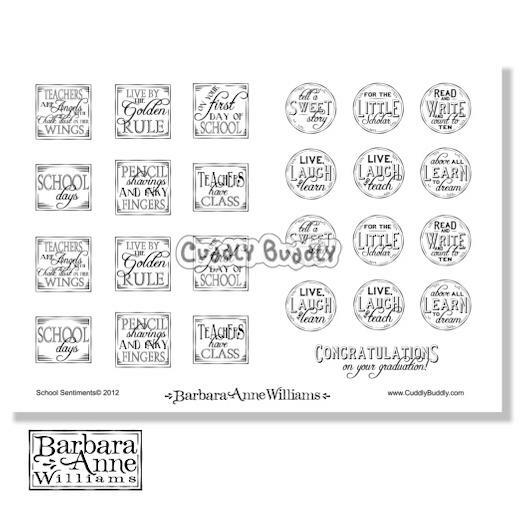 This set is one sheet (Fits on A4 or letter size page) and includes two each of six square sentiments, two each of six round greetings and one line text greeting. A delightful collection of sentiments for students, teachers and all who love learning! One high quality black and white .JPG digi stamp in an instant download zipped folder.